Add a splash of south sea styling with this batik style cushion. 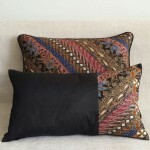 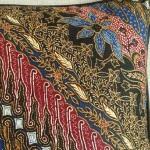 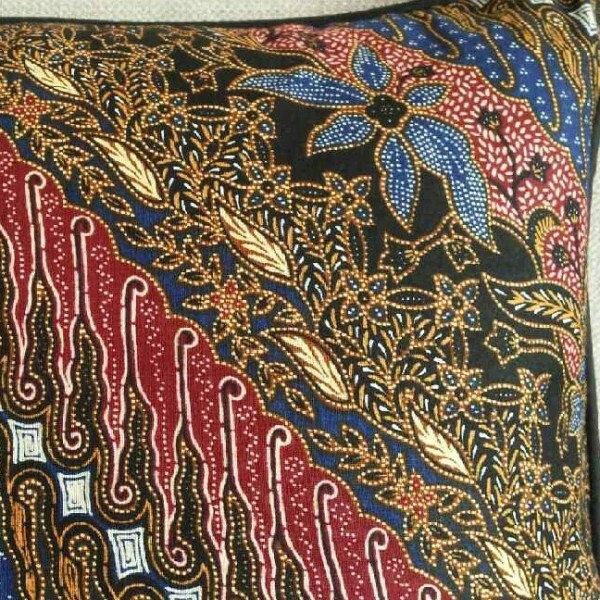 The front of the cushion is a cotton print of bands of flowers and leaves in mainly black, blue and raspberry, then piped with black Thai silk for a smart finish. 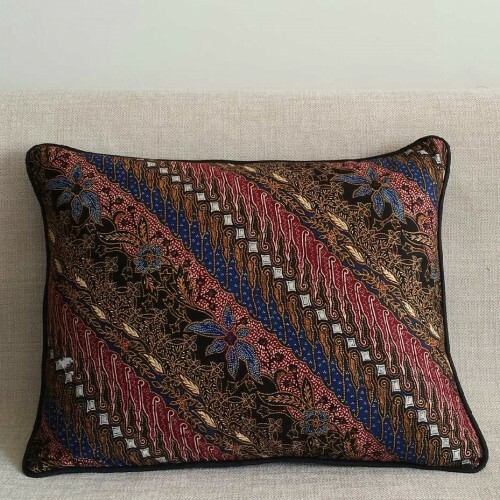 This rectangular cushion would make even more of statement when it's coordinating 35 x45cms version has been placed in front of it.